With summer approaching the finish line, we shift gears from lazing on the dock to back to school planning and preparation. But before we cross that finish, we try to squeeze in as many fun activities as possible during those last few laps. 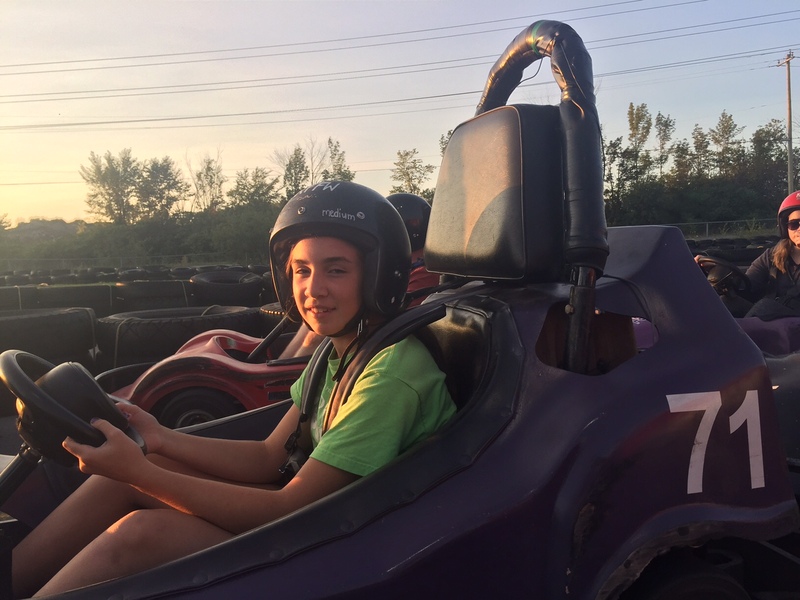 Last weekend we doubled the fun and took our pit crew of eight birthday party goers go-karting. I’m not a speed demon on the highway. 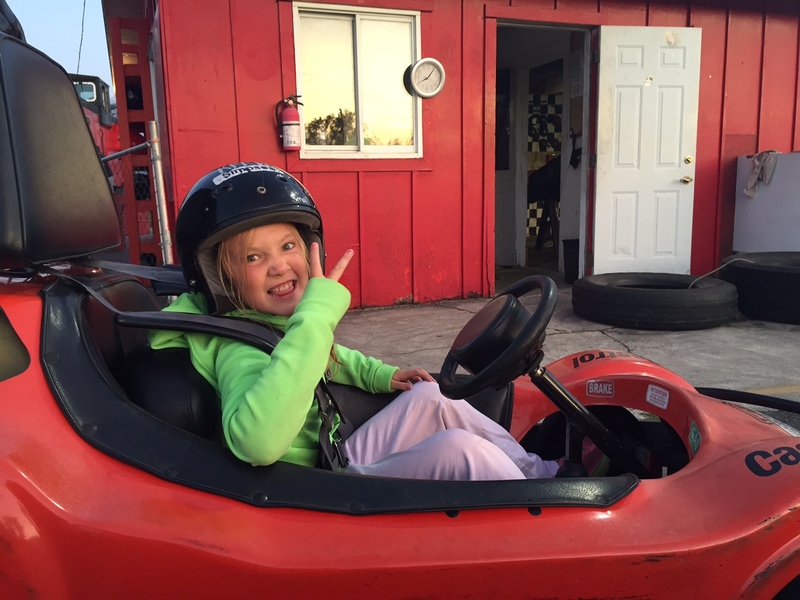 I’m a very responsible driver, but on a go-kart track, all that changes. As soon as they start your engines, I apply full throttle to the gas and speed out of the gate, rallying driving through the course and trying not to brake on the curves. It was especially fun watching the kids tear up the track. You can see it on their face. 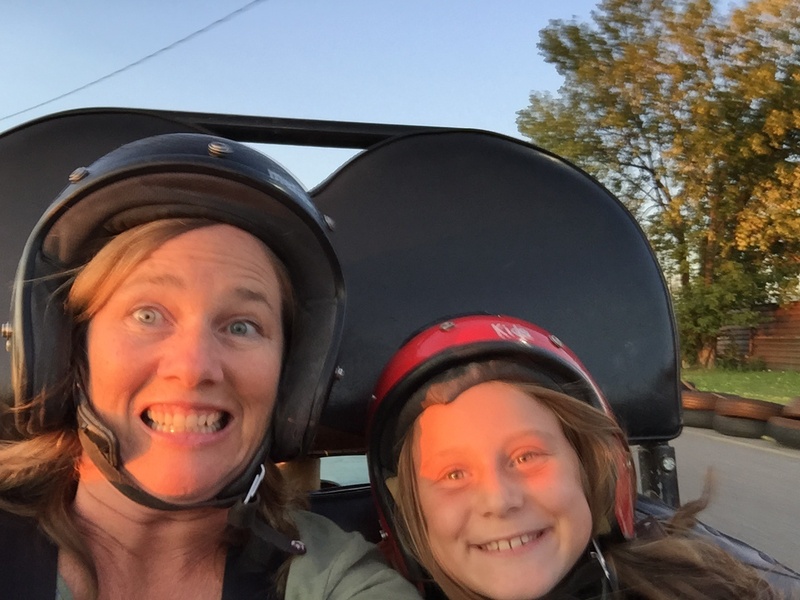 The feeling of power and control of operating their own motorized vehicle, and sheer joy and exhilaration of racing at high speeds and beating the adults. The grins were a mile wide. I had a flash back while we waiting to go on the track of one girls weekend where we had booked to go tree top trekking at the new rope course and zipline at Santa’s Village in Gravenhurst. The only other time I had been ziplining was in Costa Rica in the mountains and rainforest, so I was pretty disappointed when we arrived and the entire course was in a compound that was barely a few hundred feet wide. It was their opening weekend and they overbooked, so we spent most of our time waiting on the ground or on the tree platforms. I was bored out of my skull in about 10 minutes. As I’m standing up on the platform in the trees, I can hear the roar of go-karts to the right of me. All I could think of was getting behind the wheel and ripping up the course. I’m ashamed to admit I bailed on my girlfriends and spent the rest of the day on the go-kart track instead of testing my mettle tree trekking. 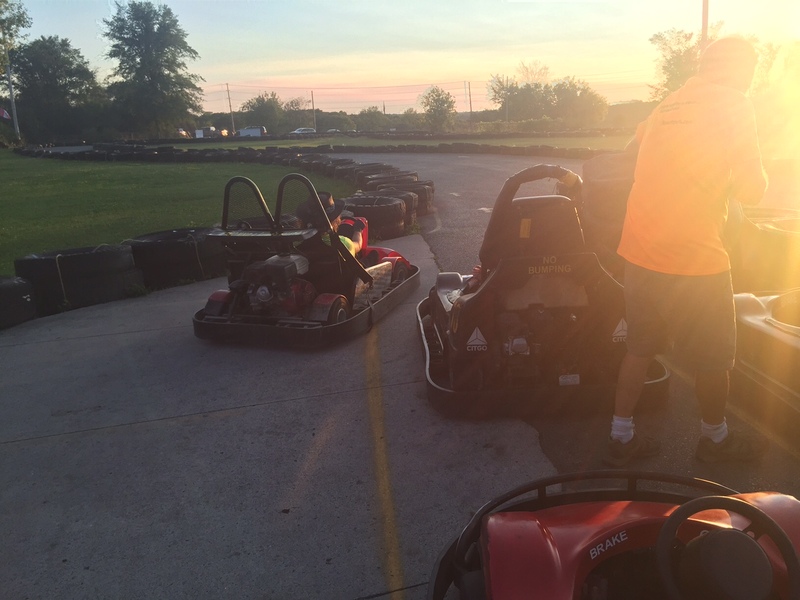 This week’s #HappyAct is to start your engines and cross the checkered line at your local go-karting track. Plan a few fun things to do this last week of summer. Have fun everyone.